The Ramallah Friends School (RFS) is a Pre-Kindergarten through 12, co-educational Quaker school with two beautiful campuses in the neighboring towns of Ramallah and El-Bireh. RFS offers all students a wide range of academic and extracurricular activities that encourage students to become global thinkers and lifelong learners. RFS has two campuses in the neighboring Palestinian towns of Ramallah and El-Bireh. The Lower School is located in Ramallah and the Upper School in El-Bireh. They are about one mile apart and 20 kilometers from Jerusalem. Both Ramallah and El-Bireh are located in the occupied Palestinian West Bank. The Upper School is comprised of six buildings, including a brand new middle school, high tech science laboratories, an educational garden, 250-seat auditorium, a turf football field and track, and indoor basketball court and gymnasium. The Lower School serves its students in four buildings, with a recently constructed state-of-the-art Kindergarten building, outdoor turf field, gymnasium and recently renovated library. RFS prides itself on its rigorous and world-class curricula. 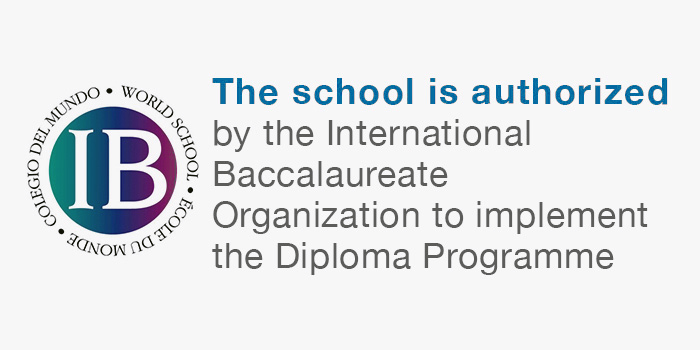 RFS is the only school in Palestine considered as an International Baccalaureate (IB) World School for it offers the Diploma Program for 11th and 12th grade students, the Middle Years Program for grades 6th through 10th, and the Primary Years Program (PYP) for grades LKG through 5th. From Kindergarten through 12th grade, students learn to think critically with global mindsets. RFS uses the Quaker principles as a guide in educating its students and the next generation of Palestinian leaders. Quaker Friends' work in Ramallah began in 1869 with a number of small schools for girls in the surrounding villages. In 1889 the Friends Girls School opened as “The Girls Training Home of Ramallah”. The Lower School was founded in 1895 as the Friends Girls School. The Upper School was founded in 1901 as the Friends Boys School. A local Board of Trustees in partnership with Friends United Meeting (FUM) of Richmond, Indiana, USA, governs RFS. The FUM appoints the Head of School and senior board members. We currently employ over 165 highly-qualified faculty and staff members, mostly from the local community along with a number of international teachers. Along with our school principals, a number of Department Heads are responsible for the development of the curricula and encouraging teachers to use innovative teaching methods. Training programs are an essential part of the professional development of all teachers; IB, MYP, and PYP teachers are required to attend official IBO training conferences. The student to teacher ratio is 10:1. 98% of RFS graduates enter four-year colleges and universities. *Final payment may change due to PYP, MYP and DP fees at various rates. ** IB tests and other DP related fees not included. Approximately, 17 percent of our students, 227 students, received some financial aid totally around $328,000. Our aim is to increase financial support to reach at least 25 percent of the student body in the coming years. Since the first graduating class, RFS has graduated approximately 4,400 students who now live and work all over the world.